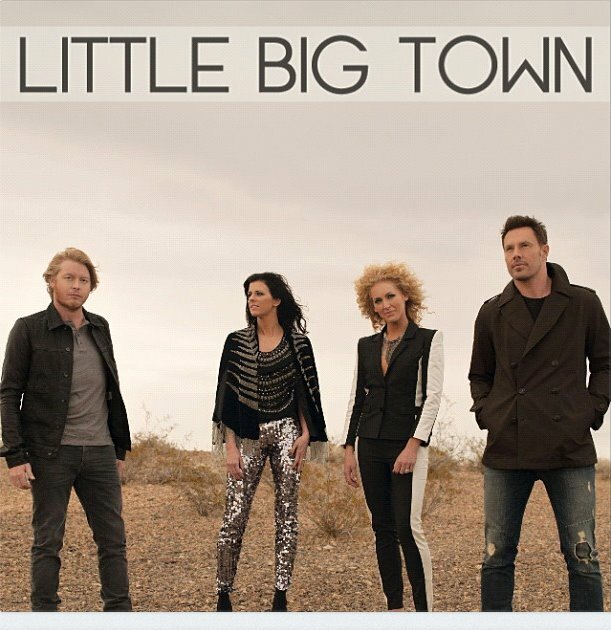 You’d think the combination of irresistible four part harmonies and a keen sense of song would be the makings of country music royalty, but Little Big Town have had more starts and halts in the past ten years than just about any mainstream act. They more than won the respect of the industry, but never quite latched onto the fans and country radio. Their fifth album, a deliberate attempt to reverse those fortunes, is the group’s first to utilize producer-of-the-moment Jay Joyce, a smart decision that presents the quartet in a new and exciting light. 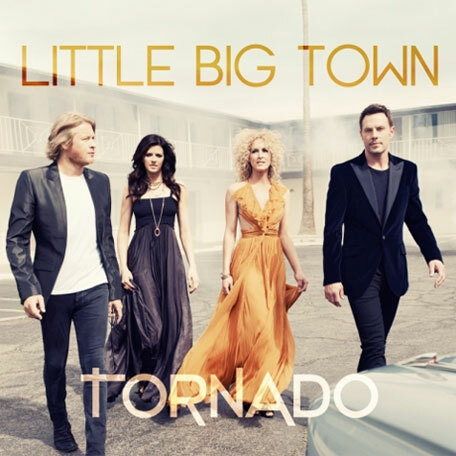 Thanks to a stellar collection of songs tastefully sung and framed, Tornado blows recent releases by Dierks Bentley, Carrie Underwood, and Zac Brown Band out of the water and is easily the best mainstream country album since Eric Church’s Chief (also helmed by Joyce) came out a year ago. Tornado works because it tampers with their core formula without sacrificing the qualities that have endeared them to the country audience for the past ten years. Platinum selling lead single “Pontoon,” a Luke Laird, Natalie Hemby, Barry Dean co-write about summertime fun on the water got them off on the right foot, and recently became their first number one. Anchored by Karen Fairchild’s commanding lead vocal and a slinky ear-catching beat, the song works because it isn’t a mid-life ploy at reclaiming adolescence, but rather three minutes of harmless fun aboard a boat. The second verse should’ve been developed more fully, but it works really well as a concept, and the arrangement is one of my favorites of any single this year. Westbrook, the thinnest vocally of the group, is adequate on “Pavement Ends,” Jason Saenz and Brent Cobb’s rollicking ode to dirt road partying, one of the more exciting songs on the subject matter. His male counterpart, Sweet (one of my favorite male vocalists in contemporary country), is excellent on “Front Porch Thing,” a wonderful banjo-led song about kicking back on a front porch with an old guitar and a song to sing. But Schlapman is a revelation on the beautiful “Sober,” easily the album’s standout number. Written by Liz Rose, Hillary Lindsey, and Lori McKenna, the mandolin centric track is a sweet ballad about being drunk on love. I thoroughly enjoy how Joyce masterfully stands back and uses a less is more approach, allowing the gorgeous four part harmonies, and stunning chorus, to steal the show. 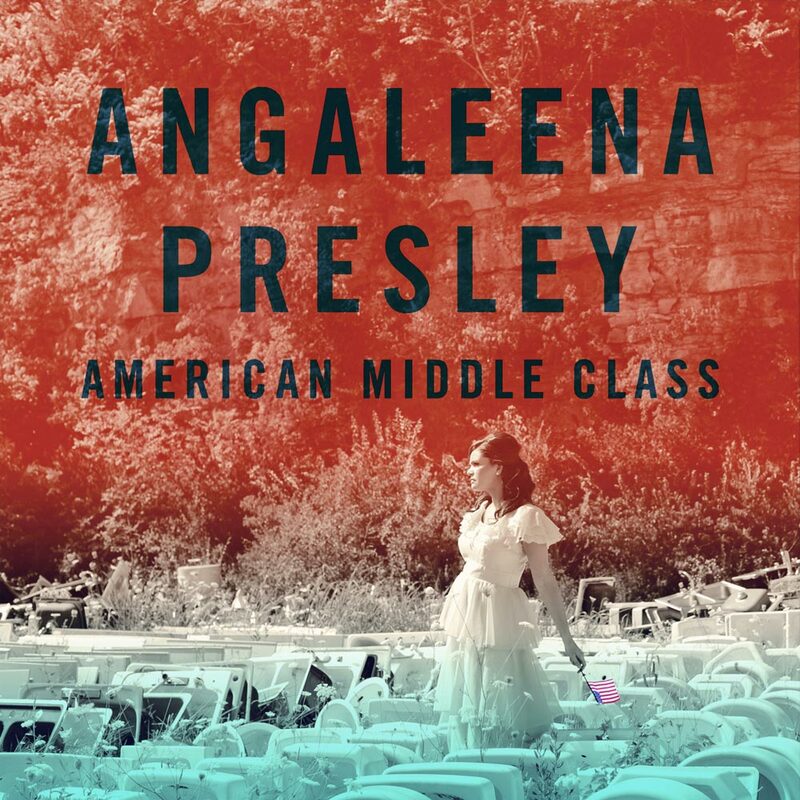 Other album highlights include the first-rate title song and second single, a sinister Bobbie Gentry-like ballad about a woman seeking vengeance on her cheating boyfriend. Written by Hemby and Delta Maid, and effectively sung by Fairchild, the track blows away Underwood’s latest (which tackles a similar theme) and works thanks to the tasteful spooky guitars and moody vibe. I also love the Westbrook fronted “Leavin’ In Your Eyes,” which Joyce turns into a 1970s inspired soft rock opus, complete with a simple driving beat. The use of Fairchild and Schlapman on harmony vocals was a brilliant decision, as it helps to make the song more interesting than if the foursome sang together. Not all the tracks work, however. Sung as a duet by husband and wife Westbrook and Fairchild, “Your Side of the Bed” is a rip-off of Gretchen Wilson’s “The Bed,” down to the story of a failing marriage under the microscope in the bedroom. I’m having a difficult time believing the couple’s pain and the use of harmonies in the chorus. A better decision would’ve been to have Westbrook or Fairchild sing it solo, as the harmonies dilute the song’s emotional heft. I love the idea of the track as a duet, but it plain doesn’t work for a four-part group. “On Fire Tonight” is an attempt at amped up rock that’s well presented and sung, and should work wonderfully in a live setting. But on record the Laird co-write with band comes off as underwhelming and a bit subpar for the group that has proven (even on Tornado) they can do a lot better. I’m also having trouble getting into “Self Made,” which probably has a nice message, but is overtaken by a disastrously cluttered production that’s so bombastic, its hard to hear what the group is singing. Joyce, who should’ve kept with the rest of the album and continued with the less is more approach, failed Hemby and Jedd Hughes’s co-write with Westbrook and Fairchild.